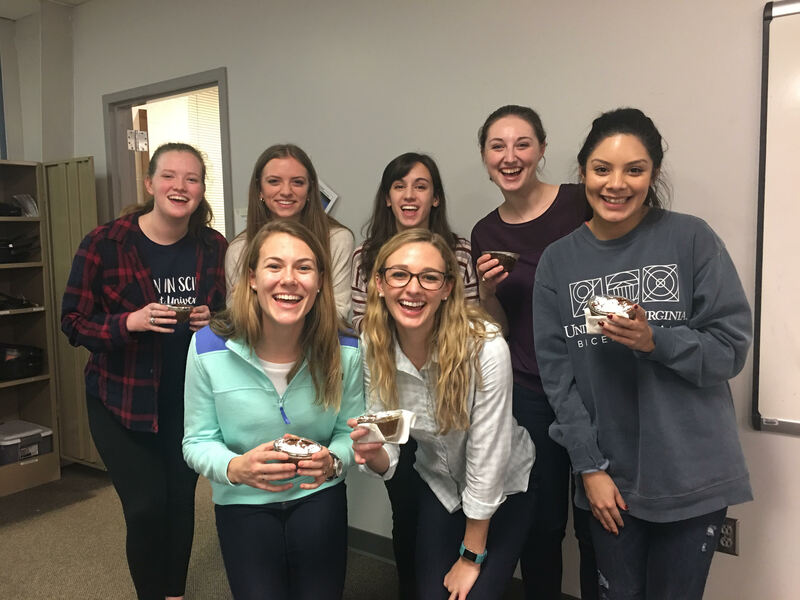 Members of Belmont’s Women in Science Club recently hosted a baking night led by Dr. Kimberlee Entsminger, professor of chemistry in the College of Sciences and Mathematics. Members were able to make their own souffles while learning the chemistry behind the process. As participants learned, beating eggs is all about science — and it’s physics and chemistry that make a souffle rise or fall. The first step in making an egg dish like a souffle is to separate the yolks from the whites, the fat from the protein. The yolk has fat and some protein, but the white is all protein, no fat. Beating egg whites relaxes the proteins by causing conformational changes. Sugar is then added to act as a “glue” that holds the egg white structure together in its relaxed state. When the egg mixture is baked at 350 degrees, air bubbles expand, making the souffle rise. The heat also causes the protein to stiffen, and along with the fat from the yolk, it forms a kind of scaffold that keeps the souffle from collapsing.